and automatically using distribute instead of setuptools. Well, I guess that things have changed and now distribute has been merged into setuptools and distribute is deprecated and setuptools is the thing to use. 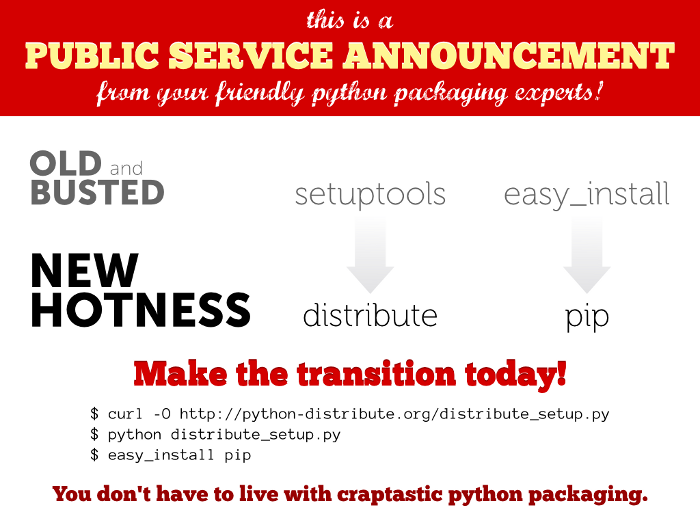 It may take me a little while to unlearn my old habits and it might make explaining Python packaging a little bit more difficult (not that it was easy :-)).